Petlog is the largest pet reunification service. Provided by the Kennel Club it works to unite owners with their lost or stolen pets. The Kennel Club database holds in excess of 3.7 million pets and owners. The service runs 24 hours per day and 365 of the year. Working with police, vets and pet wardens they are able to match lost pets with their owners as soon as possible. As part of the European Pet Network a beloved pet can be reunited with its owner if it is discovered outside of the UK. In order for your pet’s details to be stored on the Petlog database he or she will have to have a micro chip implanted and the details recorded with Petlog’s National Pet Identification Service. A pet can be micro chipped by a vet or local animal warden. There are also private companies that provide this service but it is advisable to check that they are part of the Petlog service. All UK micro chip suppliers have their details registered with Petlog. A micro chip is no larger than a grain of sand and the implant process is quick and painless. The implant is usually made in the shoulder area of the animal. 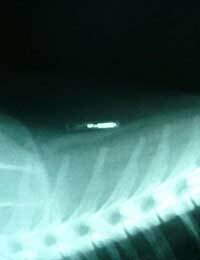 Once implanted the chip can be scanned by a hand held scanner and it’s unique details recorded against an individual pet can be cross referenced to find the owner of the animal. These manufacturers have paid £2 so that their micro chips can be part of the Petlog service:Bayer (Tracer), PETID, Allfex, Peddymark, The Pet Chip Company Ltd, Datamars, Tag all, Eezytrac and Jecta. Once your pet has been micro chipped you will receive an information pack which gives you the opportunity for a one off charge of ten pounds to upgrade to Petlog Premium. This service will provide even more benefits for your micro chipped pet. Petlog Premium means that if you ever have to change your details such as new telephone contact numbers or a new address then there will never be another charge. Furthermore the pet owner will be supplied with a member’s wallet full of useful resources for you and your pet. If your pet should be discovered wandering alone or perhaps lying injured the vet or animal warden can scan for a micro chip and as long as your contact details are up to date you will be reunited with your pet in next to no time. As well as vets and animal wardens the police and most rescue services will have scanning equipment to check if the animal has had a micro chip implant. It is your duty as a caring pet owner to make your pet as safe as possible. Lost and stolen pets are in the news every day and so many of the stories tell of pets being lost for years before being reunited with their rightful owners. By having your pet micro chipped and recording the information with the UK’s largest database you will be safeguarding your pet’s future and will have complete peace of mind for you and your family.